Flip a coin. If heads, Justin Bieber loses. If tails, Justin Bieber loses. Justin Bieber cries and runs away from battle. 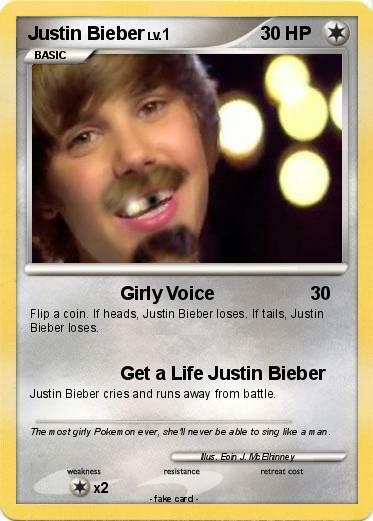 Comments : The most girly Pokemon ever, she'll never be able to sing like a man.